Many of us have made a New Year&apos;s resolution to eat healthier and shed those few (or more than a few!) pounds we&apos;ve gained over the holidays. That&apos;s usually easier said than done, especially when it comes to dining out, but we&apos;ve come up with great healthy options at some of our favorite region restaurants. Check out these delicious dishes and stick to that resolution! Lighthouse Restaurant features their Lighthouse Lifestyle Menu, which contains 13 tasty dishes under 750 calories. Pictured above, the fresh Atlantic salmon is lightly seasoned and grilled to perfection, and served with a side of steamed chef&apos;s vegetables. It&apos;s also available blackened and is gluten free. In a hurry and need to grab a quick meal? Fast food doesn&apos;t have to be loaded with calories! Stop at Chick-fil-A in Merrillville for satisfying, low calorie fare. 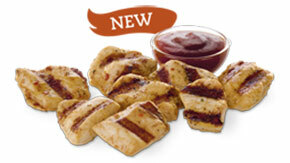 Their bite-sized boneless chicken breast nuggets are marinated with a special blend of seasonings and grilled for a tender and juicy backyard-grilled taste. Pair them with a freshly prepared fruit cup made with mandarin orange segments, fresh strawberries, blueberries and red and green apple pieces. For a refreshing, low-calorie beverage, try Chick-fil-A&apos;s diet lemonade, made from scratch daily using freshly squeezed lemon juice extracted from real lemons and sweetened with Splenda® No Calorie Sweetener. This delicious meal comes in at only 210 calories with 3 grams of fat, 13 grams of sugar and 23 grams of protein. Sage Restaurant will be re-opening at their new location in Valparaiso on Tuesday, Jan. 20. Their new menu is going to be chef inspired and will be rotating as the chef feels inspired. 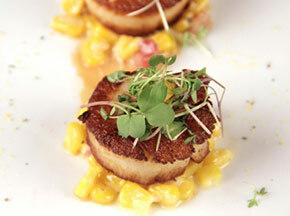 One of the healthiest dishes they offer at the restaurant is the delicious scallops. The fresh sea scallops are pan seared in olive oil, and always served with a fresh seasonal vegetable - anything from curried Brussels sprouts, fresh spring asparagus or broccoli rabe, and topped with micro greens and citrus vinaigrette. 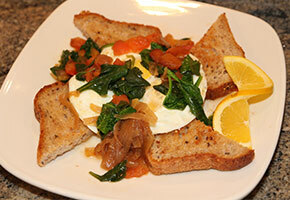 For a deliciously healthy breakfast, head over to Third Coast Spice Café and try Archie&apos;s Special, made with Bit of Swiss Harvest Grain bread, sautéed spinach, caramelized onions, balsamic tomatoes and two eggs over easy. It&apos;s sure to fuel up your body so you can meet the day head on! Third Coast is committed to serving thoughtfully made food, from scratch, using wholesome ingredients. They go out of their way to seek out foods free of artificial colors and flavors, transfats, and other ingredients that do not support a healthy lifestyle. Read more about Third Coast Spice Café in Friday&apos;s blog! 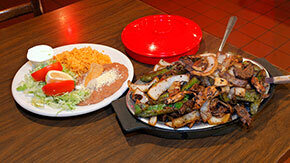 Mexican food is traditionally very healthy due to its very nature, according to Raymundo Garcia, owner of El Taco Real. "Since we are a culture that is very close to the farm, we use ingredients that are fresh and preparation is a la minute," says Garcia. "Since we are fundamentally a working class culture, we eat lots of fresh vegetables and dairy, while not emphasizing large portions of meat." One of the basic combinations at El Taco Real is beans and corn tortillas. Their beans are prepared traditionally (not re-fried) and when eaten in combination with corn tortillas, provide the "lock and key" components of a full complement of amino acids as well as a wonderful source of fiber and protein. Garcia recommends trying the pozole, a consume-style soup with lean pork tenderloin and hominy with a chile ancho base or the enchiladas, corn tortillas sauteed in a chile ancho broth filled with cheese and onions (or pork beef or chicken if you like)...simple, flavorful, and healthy. Keeping your resolution to lose those holiday pounds will be easy if you make good choices while dining out. You don&apos;t have to sacrifice flavor for less calories at the wide variety of fabulous restaurants along the South Shore! For more restaurant options, visit our restaurant listings.